The fourth annual University of Oregon Cinema Pacific Film Festival ventures into new territory this year, with a first-time focus on Latin America and events that extend to Portland. The festival, which runs April 17 through April 21, will also cast its spotlight on the Pacific Northwest and on Asian Pacific countries, as it has in past years. Singapore and China will be highlighted. This year’s featured guest is Mexican screenwriter and director Guillermo Arriaga (“Amores Perros,” “Babel” and “Burning Plain”). Arriaga, whose visit is co-sponsored by the Oak Hill School and the UO Latin American Studies Program, highlights the Focus: Mexico segment of the festival. Known for his nonlinear narratives that connect characters across national borders, Arriaga is most noted for his trilogy of screenplays, “Amores Perros”, “21 Grams” and “Babel,” directed by Alfonso Inarritu. 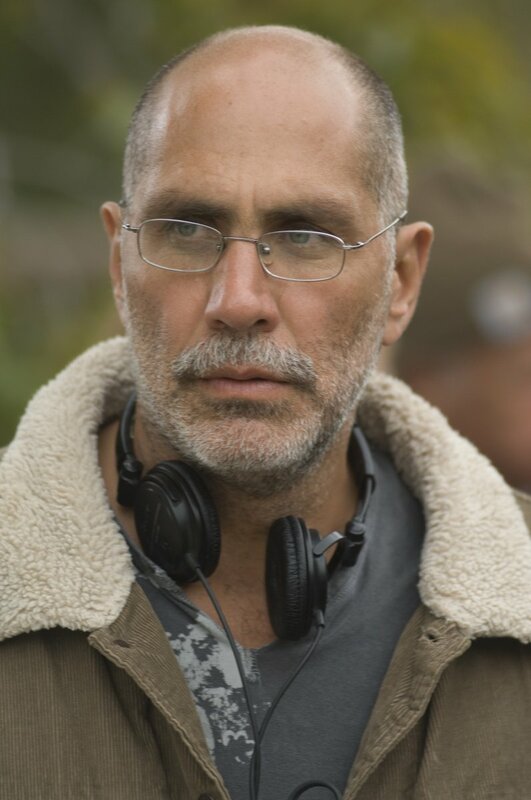 Arriaga came to Portland and Coos Bay in 2008 to direct and film “The Burning Plain,” which stars Jennifer Lawrence, Charlize Theron and Kim Basinger. He will present the movie at the Bijou Art Cinemas at 9 p.m. on Thursday, April 18. The night before, he will present “The Three Burials of Melquiades Estrada” (2005), at 7 p.m., also at the Bijou, and will engage in a series of talks. Other featured Mexican filmmakers and presentations taking place during the festival, are listed on the Focus: Mexico webpage. The Focus: Singapore segment includes visiting Singaporean filmmakers Colin Goh and Yen Yen Woo, a husband-and-wife team with an eclectic slate of productions. They will present their second feature film, “Singapore Dreaming,” at 4 p.m. on Saturday, April 20, at the Bijou. The film freely employs the ‘Singlish’ (Singaporean English) dialect. They will present a lecture on the controversial dialect, “Singlish: An Authentic or Broken Voice?” at 4 p.m. on Friday, April 19, at the UO Jordan Schnitzer Museum of Art and show "Dim Sum Warriors," a graphic novel and innovative Chinese language-teaching iPad app, at 1 p.m. on Saturday, April 20, at Eugene’s Downtown Public Library. In conjunction with Cinema Pacific’s Focus: Singapore, the JSMA and the White Box at the UO in Portland will present two media installations by Singaporean artist Ming Wong. Wong will give a live performance and artist talk via Skype to audiences in both the JSMA and White Stag Buildings at 2 p.m. on Sunday, April 21. As always, West Coast filmmaking will be well-represented in the program. A special “live cinema” event featuring Jeremy Rourke, a self-taught animator and musician from San Francisco, will occur 9:15 p.m. on Friday, April 19 at the Bijou. In addition to Rourke’s appearance, the Best of the Northwest Filmmakers Festival will include the audience prizewinner for best feature, Steve Doughton’s “Buoy,” with Doughton in attendance, plus three short films at 6:30 p.m. on Friday, April 19. Portland director Brian Lindstrom will also attend the screening of his film, “Alien Boy: The Life and Death of James Chasse.” “Alien Boy” was the sensation of the recent Portland International Film Festival. The Adrenaline Film Project, the popular 72-hour competition for regional filmmakers, will also return. “The atmosphere in the auditorium is electric,” says Herskowitz, who reminds audiences the admission ticket to the Adrenaline Film Project at 9:30 p.m. in 180 PLC includes admission to the after party at the JSMA. Herskowitz believes being exposed to international cinematic innovation makes American filmmakers better and he feels the festival is helping to produce better filmmakers and audiences. “That’s what drives me,” he says. See full schedule of events. Tickets for all Eugene shows are available online through April 16 at cinemapacific.uoregon.edu/schedule and through the UO Ticket Office, 541-346-4363, located in the Erb Memorial Union on campus. For Portland events at the NW Film Center, tickets are on sale at the door and online at nwfilm.org/screenings. See websites for details.